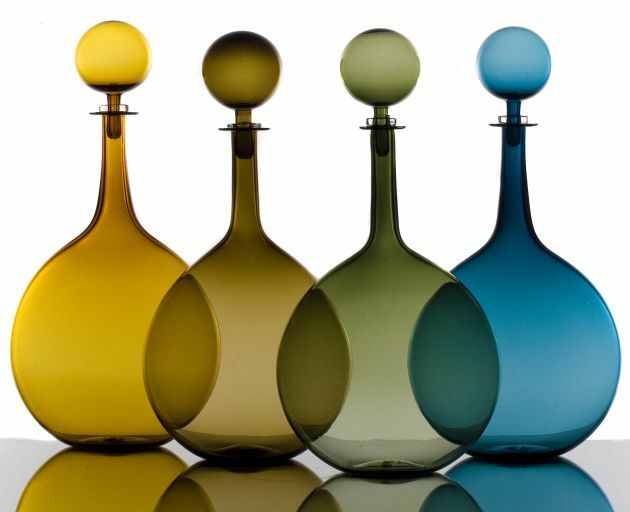 Joe Cariati is a designer and glassblower from Los Angeles who produces hand-made contemporary glassware by using a Venetian off-hand glassblowing technique. 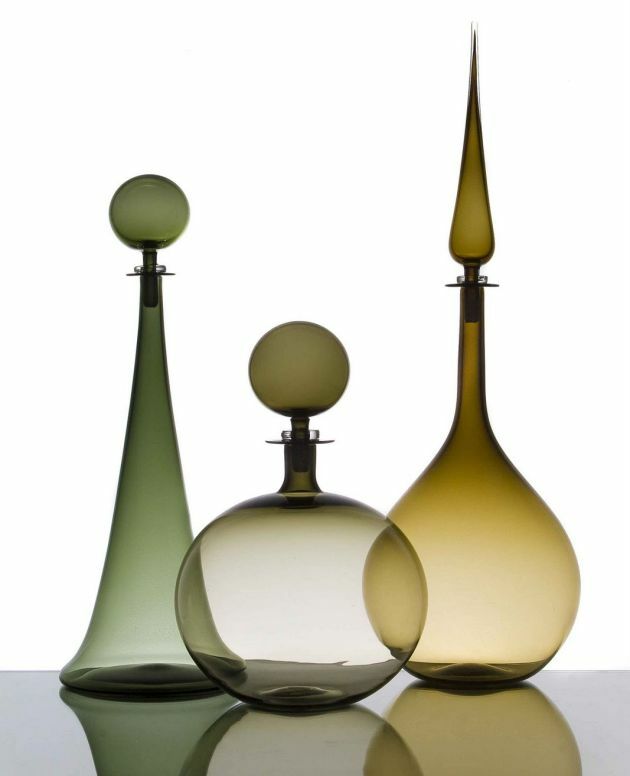 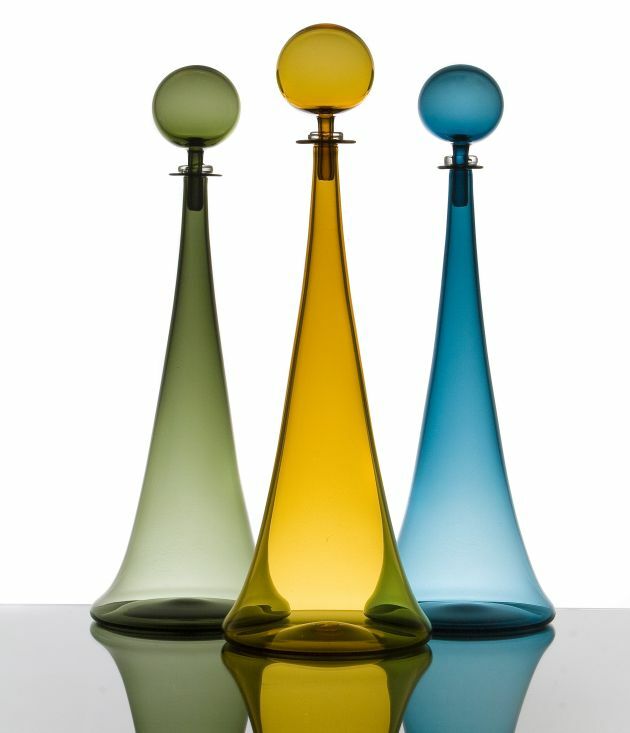 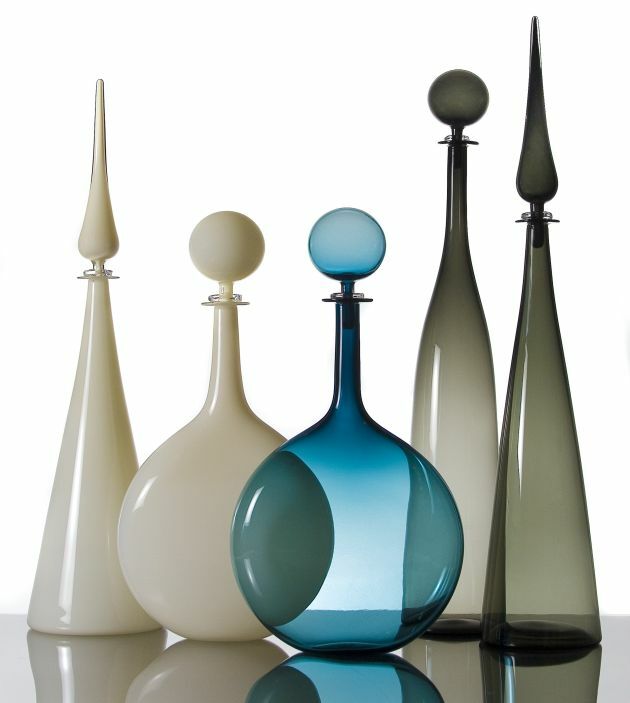 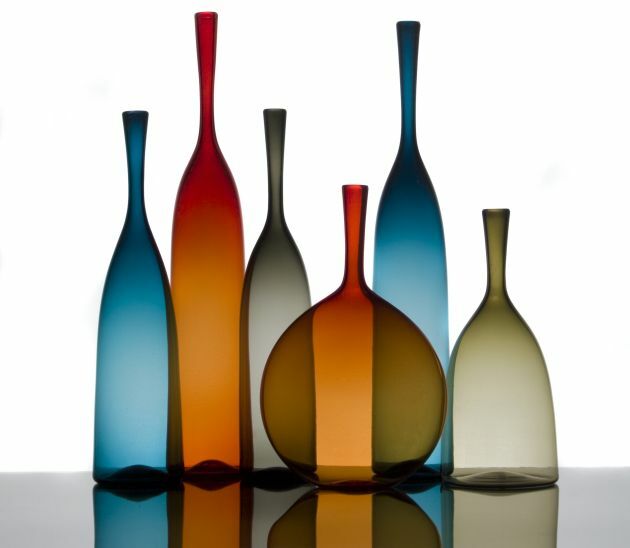 Joe’s current line includes a range of strikingly dramatic decanters and bottles. 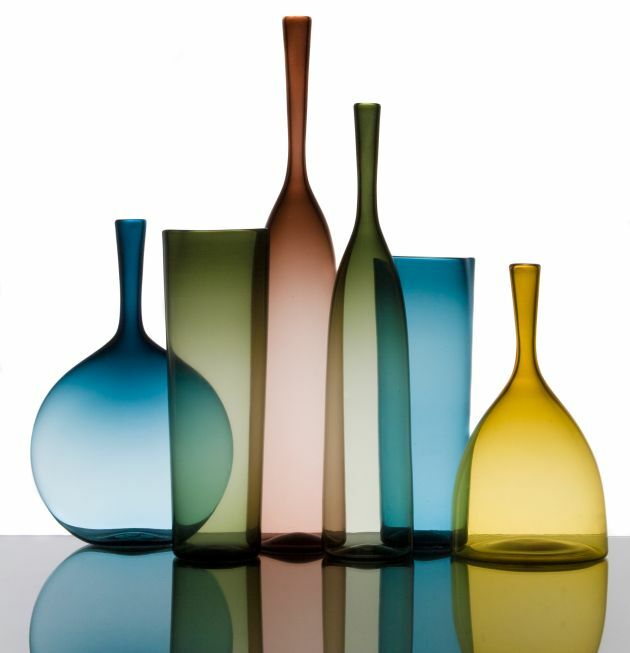 Be sure to watch the video of Joe after the photos…. 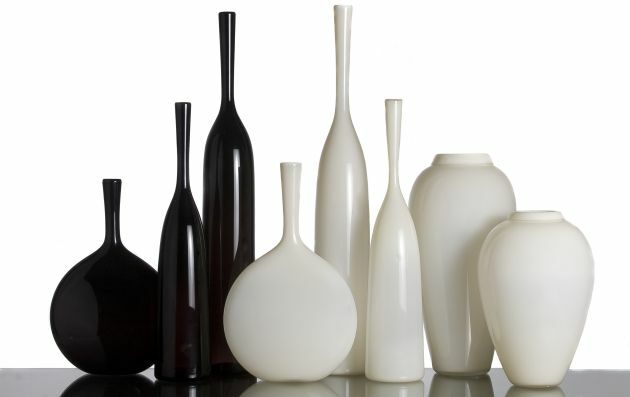 Visit Joe Cariati’s website – here.